… these jewel-coloured hair straighteners are irresistable. So, the way to remember is to say to yourself, ‘I am irresistible’. The ‘I’ at the start of that debatable sentence reminds you of the correct ‘ible’ ending of ‘irresistible’. What really burns me is that these alleged professionals are either too arrogant – or too dumb – to hit the spell-check button before committing their text to print or to the Web. I’m not sure about the Times, as it’s hiding behind a pay-wall now, but standards at the Guardian are going to hell in a hand-basket of late. Hi, Ron — yes, I don’t really understand why this one is so ubiquitous. I saw it in various stories in other newspapers too. Interestingly, the WP spellcheck doesn’t pick it up. But when I type ‘irresistable’ into Word it is automatically corrected. The newspaper subs are really sloppy not to pick up on it — but I’m also surprised that the wordprocessing system used by the journos doesn’t flag it. I suppose the mistake may be rooted in the meaning of the word, as in being ‘unable to resist’ — perhaps people unconsciously think of the ‘able’ in ‘unable’. Surprised WP doesn’t pick it up – it’s very good at flagging words that are perfectly correct! As a spell-checker it seems to have been put together by someone with an amazingly poor vocabulary. 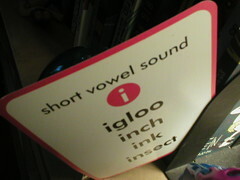 Vocabulary, by the way, is a word that usually skulks in my dead zone, but today it’s accessible. Yes, the WP spellcheck is somewhat bizarre. A bit like a monkey let loose with a red pen. Having said that, I don’t trust any computerised checking systems, but WP’s is particularly arcane. My theory is the writers assume all qualities connected to personality and attitude are abilities, therefore reflected by different adjective indications of being “able”. I agree with you, Deborah. Intractable, unflappable, capable, implacable, malleable, abominable, “irresistable”. You just made me laugh out loud. Thanks, Mikey. That list of words shows how tricky some spellings can be.